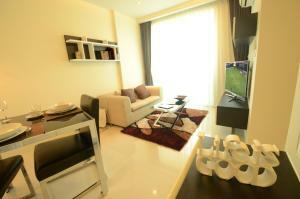 Beverly 33 by Aspira is a 10-minute walk from Phromphong BTS Skytrain Station and Sukhumvit MRT Subway Station. 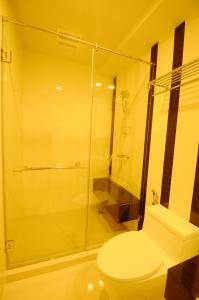 It offers spacious rooms with a kitchen and free Wi-Fi. The property has a pool and fitness centre. 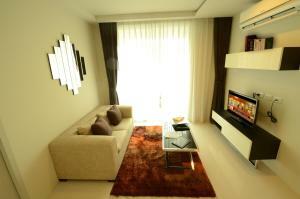 The property is a 10-minute walk to Benjasiri Park and Emporium Shopping Mall. Suvarnabhumi Airport is a 40-minute drive away. Rooms are furnished with modern décor. They are fitted with a balcony, flat-screen cable TV and DVD player. They also have a safety deposit box and hairdryer. Free toiletries are included in an en suite bathroom. For guests’ convenience, the property has a 24-hour front desk, shuttle service and business centre. Free private parking is possible on site. Local restaurants can be found within a 3-minute walk. Rooms feature a kitchen. They are fitted with a balcony, flat-screen cable TV and DVD player. They also have a safety deposit box and hairdryer. Free toiletries are included in an en suite bathroom. 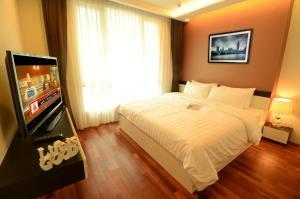 Rate: THB 2300.00 ... THB 2900.00; select dates below to get current rates.